The United States has fought in countless wars. Yet despite all of our battles, the United States has fought only five wars in which we actually declared war. Five. And the last time it happened was almost 70 years ago. According to the United States Constitution, only Congress may declare war, yet despite this, the President of the United States has acted without the prior consent of Congress in at least 125 conflicts. Beyond this, there have also been many incursions authorized by Congress that stopped short of a full declaration of war. 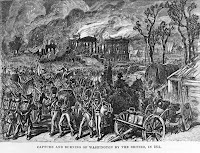 In 1814, over three decades after the Revolutionary War, the British army burnt Washington DC to the ground. 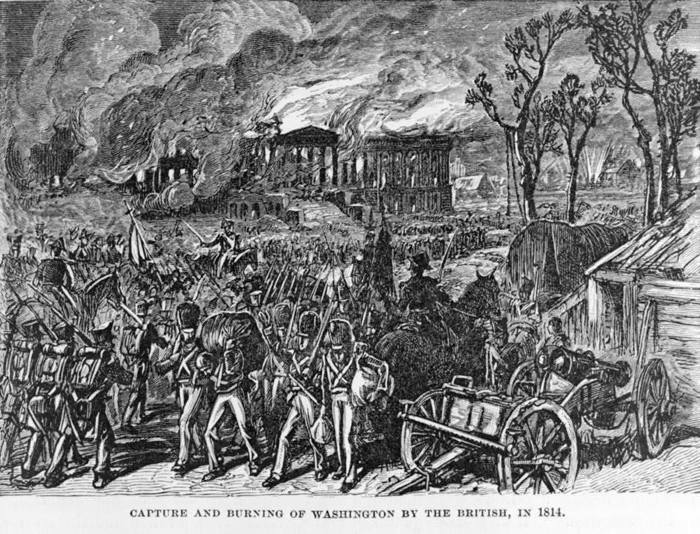 Most people don’t seem to know that we fought a second war with the British after the revolution was over: The War of 1812. The reasons are complicated and many. We had invaded Canada. The British were not treating us fairly as a sovereign nation. Whatever the reason, this would be the first time the United States declared war against another nation. Fitting perhaps, that it was against the United Kingdom. There is debate as to who actually won the war. The United States failed to absorb Canada, but the British were forced to stop enslaving our sailors within the Royal Navy (which they had been doing). Today, our National Anthem tells the story of The Battle of Fort McHenry from The War of 1812. And indeed, the White House was originally painted white to cover the scorch marks from being burned. Fortunately for us, the First Lady Dolly Madison saved many of the artifacts in the White House, by taking them with her when she fled. You might sometimes here off-color jokes about the United States going to war with Mexico, but in 1846 it actually happened. 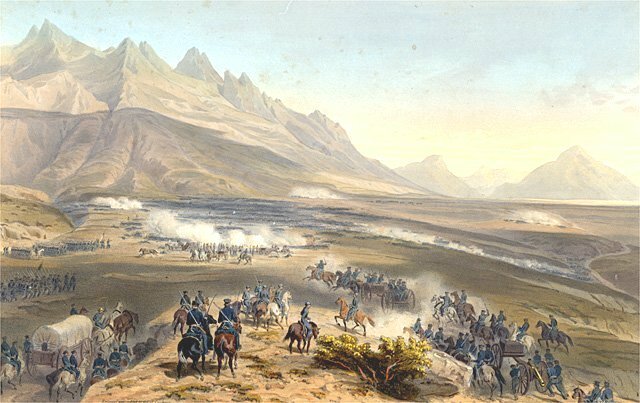 In what is known today as the “Mexican-American War”, Mexico became the second country the United States declared war against. Why did it happen? One word: Texas. The American settlers in Texas had recently won a revolution against Mexico, and declared Texas an independent nation. Texas wished the join the United States, but Mexico refused to acknowledge Texas’s sovereignty. 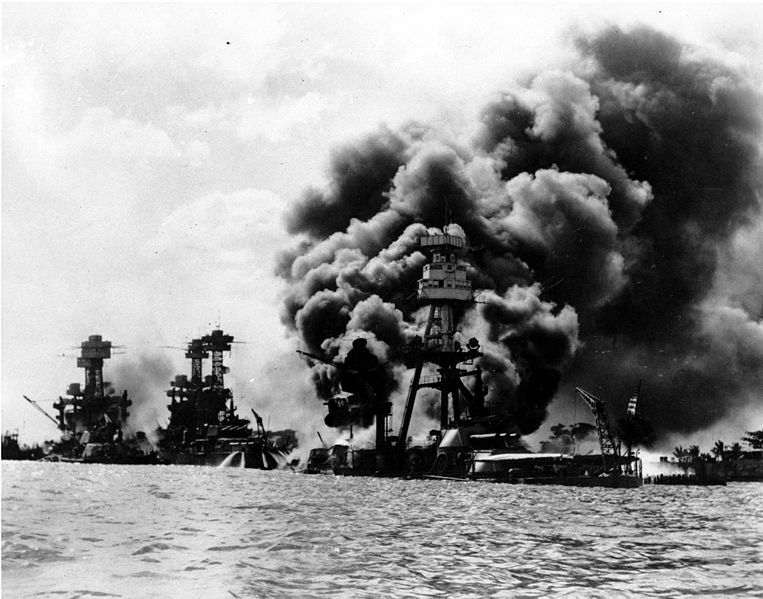 After the declaration of war, the US military attacked on multiple fronts. The army invaded from the north, while the navy blockaded Mexico’s eastern coast. Another American fleet even sailed past the southern tip of South America in order to bombard Mexico’s western coast and what is now California. Finally, a group of 12,000 troupes landed on Mexico’s shores in America’s first amphibious assault. These soldiers would go on to seize Mexico City, the nation’s capital. 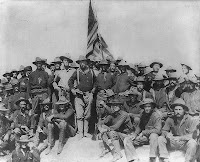 Losing the war, Mexico was forced to sell the United States the territory now known as California, Nevada, Utah, and Arizona, as well as portions of New Mexico, Colorado, and Wyoming. Texas was also now a state. The war was considered highly controversial, even back then, as its sole purpose was to gain territory for the US. After our war with Mexico, it would be another fifty years until the United States would declare war again, this time on Spain. Whereas the war against Mexico had started with Texas, this time the war would start with Cuba. As a province of Spain, Cuba had been fighting for independence for decades. Suffice to say, the Americans had empathy for Cuba’s plight. Then– two things happened. 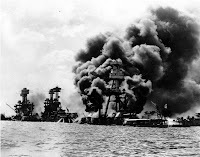 The Spanish government began gathering the native Cubans into camps, and a US warship docked in Havana Harbor mysteriously exploded (the USS Maine). War was declared. The United States Navy would go on to decimate Spain’s armada, and the land war was equally one sided due to the United States army’s superior numbers. As a result of victory, the US gained temporary control over Cuba and indefinite colonial authority over Puerto Rico, Guam, and the Philippines. Cuba would go on to gain itself independence and only a few decades later become a communist nation (good times). 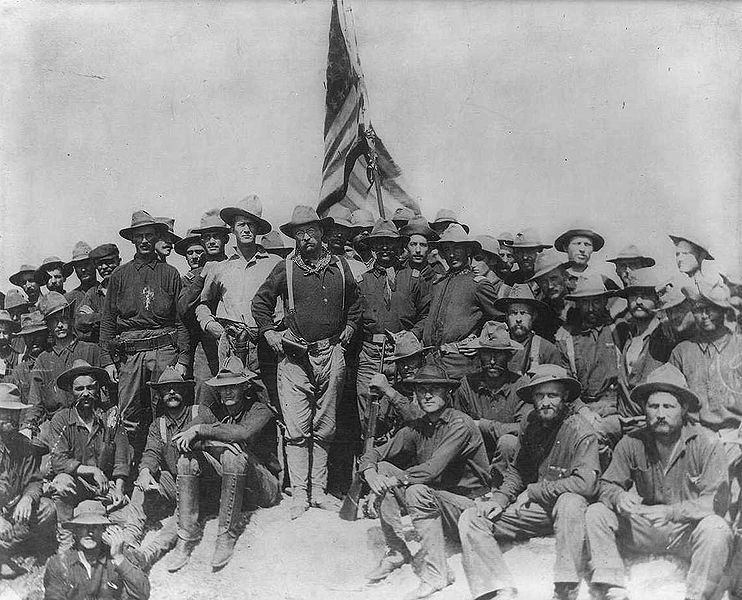 Seventy years after the Mexican-American war, the United States had become a country of isolationists. World War I was raging, but that was Europe’s problem. So what was it that brought us to war? 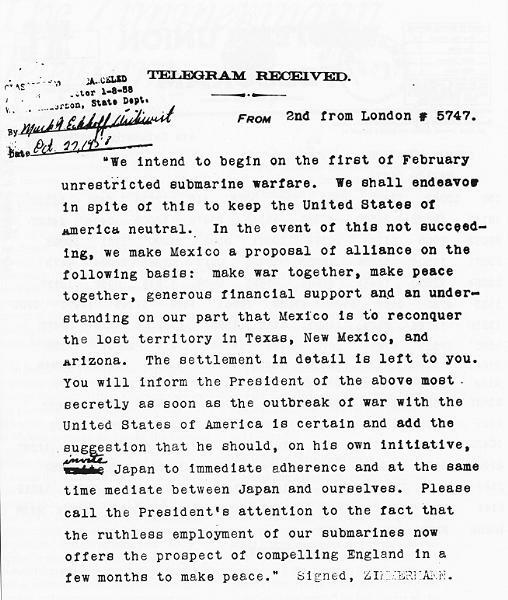 The answer is simple: The Zimmermann Telegram. And what was in this telegram? 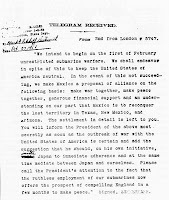 A message from Germany to Mexico, promising Mexico that if it declared war on the United States, Germany would assist Mexico in reacquiring most of the territory it had lost due to the Mexican-American war. The telegram had been intercepted by the British and given to the United States. The newspapers then published it throughout the country. Shortly thereafter, the United States declared war. War was first declared upon Germany, then upon the Austro-Hungarian Empire. America’s late entrance into the war tipped the scales in favor of the Allies and Germany was ultimately forced to surrender along with the rest of the Central Powers. 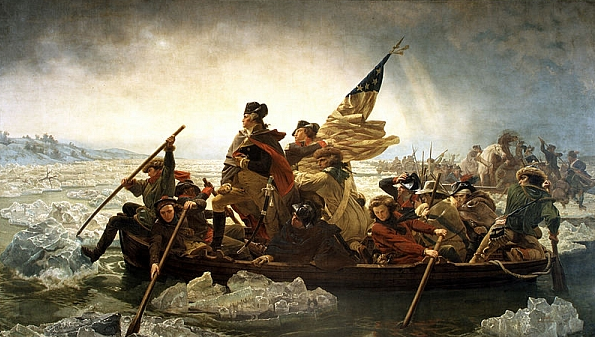 This defeat would reshape the map of Europe and the Middle-East in ways that persist to this very day. The Germans were a strong, proud people, and they had been defeated. Worse though, they had been consciously humiliated. The allies, especially France, had gone out of their way to cripple Germany and punish them for the war. The war reparations forced upon Germany would take until 1988 to pay off (it actually ended up taking until October, 4th 2010). So– here you have a proud, humiliated nation. Small wonder then why they were so eager to listen to a man proclaiming they had nothing to be ashamed of. Unfortunately, that man turned out to be a maniac. World War II was caused by the gross mishandling of the end of World War I. Across the Atlantic, the United States had once again reverted to isolationism. It would take a direct attack on American soil to awake the “sleeping giant”. We know it as “Pearl Harbor”. In World War II, the United States declared war on six different nations: Japan, Germany, Italy, Bulgaria, Hungary, and Romania. The United States has not declared war on a single country since then. While the United States has involved itself in countless military actions, there seems to be at least one common thread throughout the conflicts in which we actually declared war: We never lost. That’s probably because a declaration of war requires a focused target, which results in a focused war. Perhaps we ought to consider sticking with officially declared wars more often?